How Can I Go A Kid's Place Dentistry for Children? 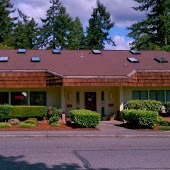 Where is A Kid's Place Dentistry for Children in Renton on the Map? Dr. McDonald is very experienced with making children happy and comfortable, including balloon animals and prizes. He is very conservative in treatment and clearly presents options for parents to make informed choices. My kids ask to go get their teeth cleaned! His Assistants are very observant of how the kids are doing during treatment and work hard to keep them comfortable and happy. BEST PLACE EVER! These are some of the most understanding and polite people when it comes to children. They answered all the never ending questions my 6 year old had! And did it with a smile! My 4 year refused to open his mouth and they patiently tried all they could to get him to relax and open up (didnt work but we will try again next time). Even the front desk staff is happy and polite. I love taking my kids here! BEST Pediatric Dentist!! Dr. McDonald is the only dentist I take my two kids to. My 5 yr old LOVES going for his check ups and my 1 yr old just had her check up. Both kids have NEVER once cried about seeing a dentist. Everyone in the office is very professional, but personable. Dr. McDonald truly cares about children's dental health. It's worth for me to continue driving over 30 minutes just so my kids can be seen by Dr. McDonald. My two kids love going to the dentist. I never did when I was a kid. Then again I didn't have a dentist like Dr McDonald. His staff is very helpful and interacts with my children well. Through all the procedures and cleanings my children have done at A Kids Place, they still like going. One of my kids is a stellar brusher and has learned good habits and techniques from Dr McDonald. The other is still working on good habits. She is taking the initiative now and wants to have a perfect follow-up soon. I have confidence that they both have learned from Dr McDonald and staff and will carry those habits throughout their lives. Thanks Dr McDonald and staff. 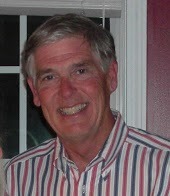 William M Bethel D.D.S. P.S.